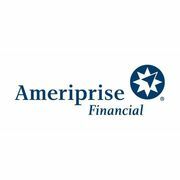 Hyden & Associates - Ameriprise Financial Services, Inc.
A personal message from Hyden & Associates - Ameriprise Financial Services, Inc.
Rate and review Hyden & Associates - Ameriprise Financial Services, Inc. in Daniel Island, SC, United States! Share your experiences at Hyden & Associates - Ameriprise Financial Services, Inc. with your friends or discover more Financial Advisors in Daniel Island, SC, United States. ★★★★★ Place order with Loca Authorized dealer of the company in your town.